Are Custom Seat Covers the Right Choice for You? Why do people buy custom seat covers for their vehicles? By knowing the answer to “why”, you can narrow down your choices for what type of seat covers you should buy much quicker. That’s important because there are a lot of choices to make – color, fabric, coverage, protection level, and more. It can be a little overwhelming. But we’re here to help! Why Are You Buying Custom Seat Covers? Not everyone will think Why? when buying custom seat covers. But this is perhaps one of the most important questions to pose. 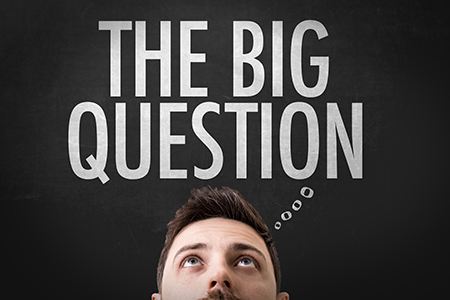 The reason is simple – the answer will determine the main purpose and function of your seat covers. Will it be to protect? Some drivers need a high level of protection because they use their truck or SUV as a work vehicle, to transport cargo, or perhaps to transport heavy tools. By protecting your original upholstery, you’re protecting your investment and maintaining the resale value of your vehicle. Will it be for comfort? While all custom seat covers provide different levels of protection, some focus more on comfort. Many used vehicles may not have the most comfortable seats and the leather might be cracked, making it even less comfortable to sit on. Even brand-new vehicles might be lacking in the comfort department, too. Will it be a balance of both protection and comfort? 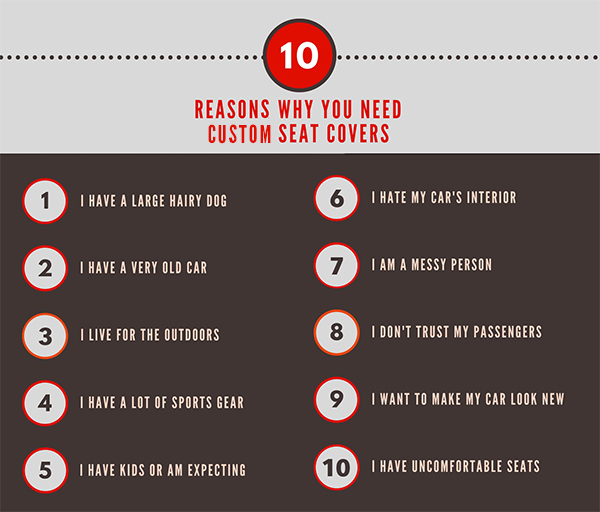 Not everyone is seeking one thing when it comes to custom seat covers. Some drivers want a versatile product serving a dual purpose such as: to protect against daily wear and tear, kids, dogs, and spills – while still providing a good level of comfort. You have leather seats and they get extremely hot in the summer and really cold in the winter. The manufacturer used white or light-colored upholstery that shows marks, stains, and rips. The original vinyl fabric is splitting and is rubbing against your legs. There are burn marks on your seats. There is a bad smell in the upholstery. You travel with your dogs a lot. Figuring out the reason for buying custom seat covers and their function is an essential step in the processing of getting custom seat covers that you both want and need.